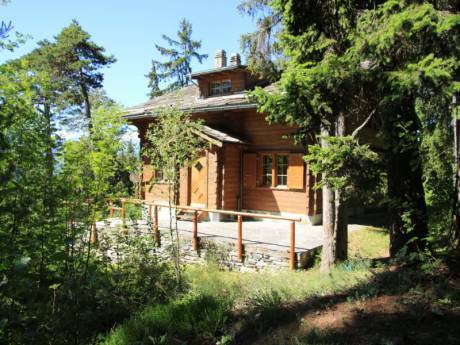 This comfortable chalet with 6 sleeps is located in the four valleys region of Verbier/ Nendaz/ Veysonnaz in Haute-Nendaz, Switserland. The chalet is available in summer and winter. Enjoy the magnificent views of the mountains from our balcony. More then 100 ski lifts and 400 km of ski runs, up to the Mont Fort (3330 metres)! There are facilities for curling and for snowboard stunts (snowpark on Mont-Fort). Located near to the village with supermarket and restaurants and bars (10 minutes walking distance or 1 minute by car). Surface 80 m2: entrance, toilet, storage room lovely livingroom with fireplace, open plan welequipted kitchen (dishwasher, oven, micro, large fridge/freezer) and diningcorner. Satelite FlatscreenTV, DVD, Audio. Downstairs: 3 bedrooms (6 pers. ), bathroom with toilet. Washingmachine/ dryer. Garage for one car with skilockers. Garden with BBQ, garden furniture. Access by stairs. 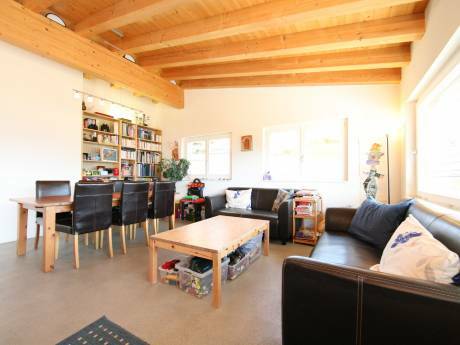 This chalet is one of the holidayhomes that we have for exange. We have recently re-styled the chalet and we are very satisfied but most of all love the great view. We are: Rob and Erica van Zutphen ( 50 and 49 years old ), living in the Netherlands. We have 2 daughters , Kim (almost 21 ) and Amy ( almost 17 ). Our daily work is renting out holidayhomes. Haute-Nendaz lies 1400 meters above see-level in the region valais, it is the sunniest Kanton from Zwitserland. It is an authentic holiday village with a beautiful view of the Berner Oberland. High way till Sion. Sion has a train-station and a little airport. 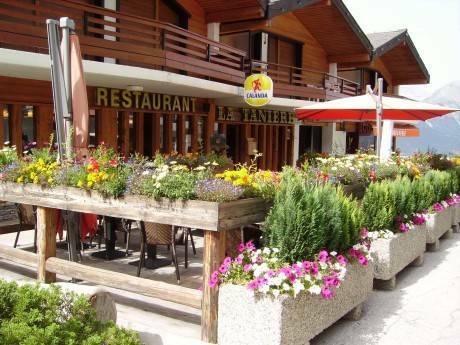 You can reach Haut-Nendaz over a very good accessible road (16 km) with car or bus. Nendaz is an ideal holiday centre for the whole family with all the possible sport and amusement-themes (restaurants, dancing, ice-skating, curling, tennis, swimming pool. We offer our guests the Nendacces card for free. This card gives free acces to the iceskating rink, ice disco, squash (Siviez) and in the summer to the communal pool (5 minutes walk) tennis (10 minutes) and a lot of other activities organized by the local tourist office of Haute-Nendaz. Four Valleys.